posted by Alexey Kazakov on Dec 15, 2014. 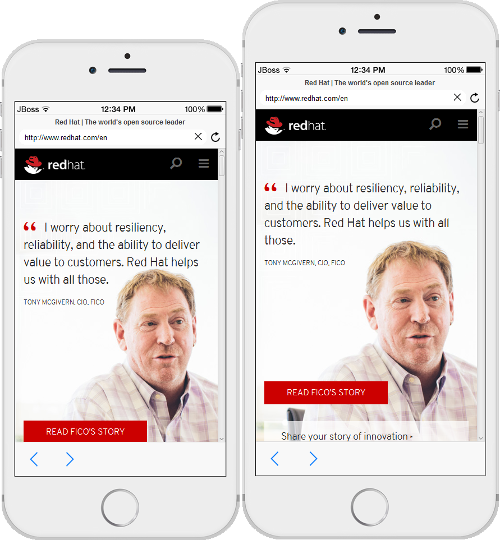 Maintenance update of JBoss Tools 4.2.1 and Red Hat JBoss Developer Studio 8.0.1 for Eclipse Luna is now available. JBoss Tools and JBoss Developer Studio Bring-Your-Own-Eclipse (BYOE) require at least Eclipse 4.4 (Luna) but we recommend using the Eclipse Luna SR1 Java EE Bundle since then you get most of the dependencies preinstalled. Once you have installed Eclipse, you can find us on Eclipse Marketplace under "JBoss Tools (Luna)" or "JBoss Developer Studio (Luna)". This maintenance release includes mostly bug fixes but there are also a few new features which we would like to mention. You can now start and stop your OpenShift-hosted application within Eclipse. 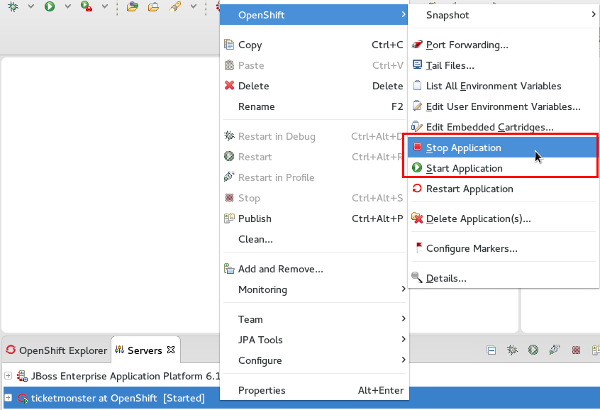 OpenShift tools offers start- and stop-actions in the context menu of the server adapter and the application in the OpenShift Explorer. CDI (Contexts and Dependency Injection) support is now enabled automatically for Eclipse Web Tools faceted projects if they have any Java EE 7 facet. For example if you create a project via New Dynamic Web Project Wizard and select Web facet v.3.1 you don’t need to enable CDI support in project properties or to install CDI facet. CDI Tools will do it automatically. The included Forge 2 runtime is now 2.12.3.Final. More maintenance updates for Eclipse Luna are planned and we continue to work on the major release for Eclipse Mars but it’s all for 2015! « What JBoss Tools Team should do in 2015 survey results!